Kandy, April 5: At a time when workload management of the players are keenly monitored ahead of the World Cup, Sri Lanka's veteran pacer Lasith Malinga, in a rare incident, played two matches inside 12 hours -- a T20 game in India and a domestic 50-over match in Sri Lanka. Malinga, 35, helped Mumbai Indians win against Chennai Super Kings in an Indian Premier League (IPL) clash on Wednesday night in Mumbai, returning figures of 3/34. 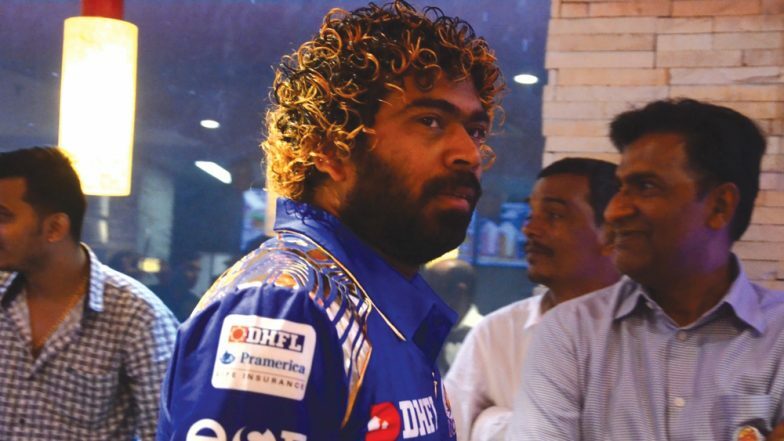 Lasith Malinga Picks 7/49 in Sri Lanka's Domestic Cricket After MI vs CSK IPL 2019 Match in Mumbai.